Practical points to the Christian life. I first heard this series on the Renewing Your Mind radio program three or four years ago. It was also my first real exposure to R.C. 's teaching. As of this day he is my favorite bible teacher. The Lord has used Renewing Your mind to instruct me like never before in the thirty-one years I have been a Christian and I have been learning from some of the best in those years. I thank God for this ministry. 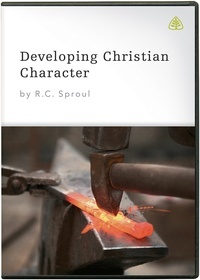 Developing Christian Character is a wonderful look at how followers of Jesus should live. There are many practical points and real rubber meets the road applications to be found in this series. Galatians five is used as primary back ground as we go through the Fruit of the Spirit that Christians need to develop as we walk in obedience to the Word and surrender to the indwelling Holy Spirit. Thanks R.C.